A friend of mine Darrell Foreman has a Desert Hedgehog visiting his garden each night in Dhahran main camp and invited me and my family around to see it. It gave very good views feeding around the garden after dark and good photographs were taken of it. 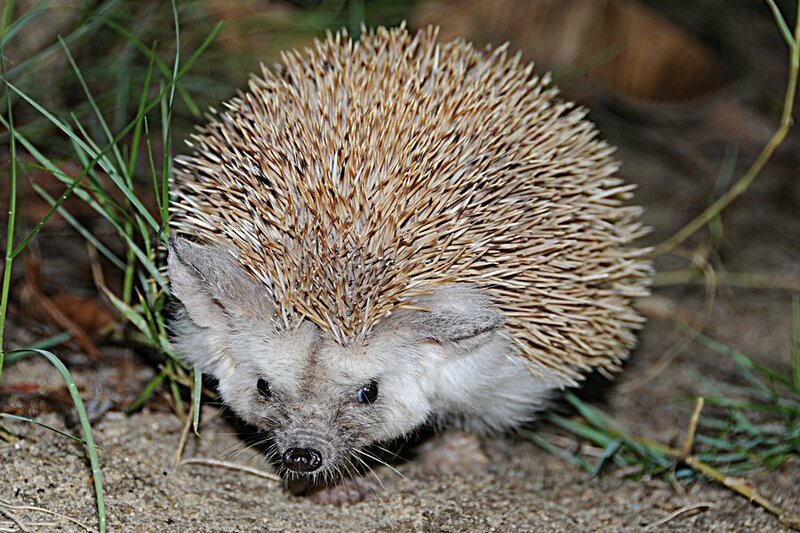 The Desert Hedgehog (Paraechinus aethiopicus) is a species found in northern Africa, from Morocco & Mauritania in the west to Egypt in the east as well as the Middle East including Israel, Jordan, Syria, Iran, Iraq, Kuwait, Saudi Arabia, United Arab Emirates, Oman and Yemen. 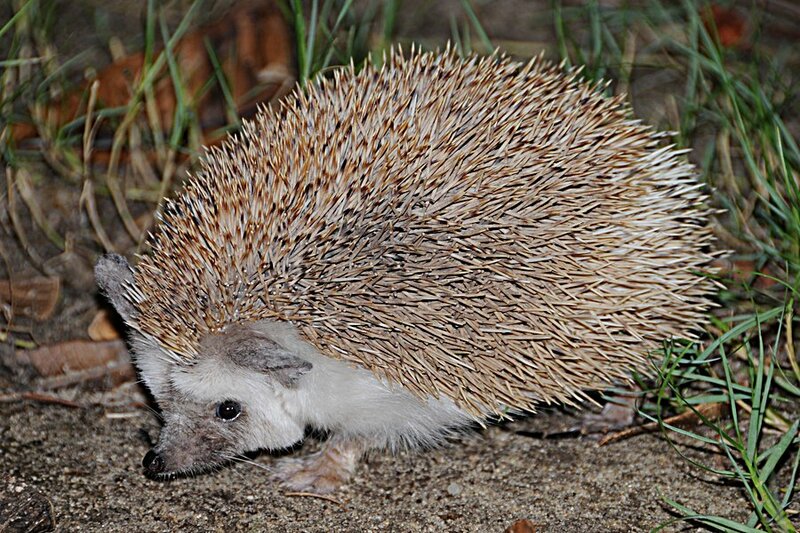 A typical hedgehog in appearance, the desert hedgehog has a dense, spiny coat, an elongated snout, and the ability to curl into a defensive ball when threatened. For more information on the species see under the Wildlife Tab at the top of the page. 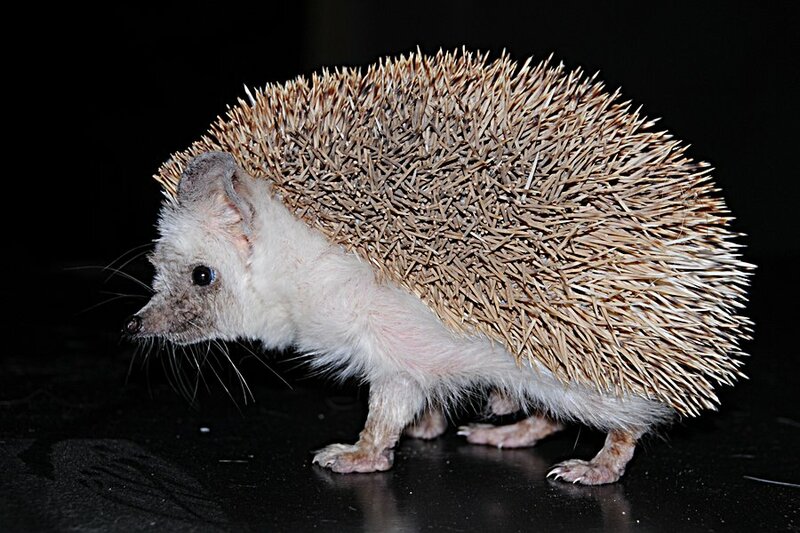 So much for what I read that Hedgehogs are shy animals. That one loves the camera so much, it's more of a camera hog.